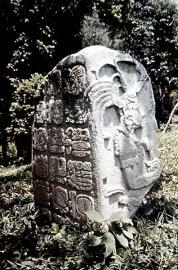 Results 76 - 90 of 97 for "stela or stelae"
Caption: Stela 1, front and right side, 1959.
Credit: Edwin Shook, University of Pennsylvania Tikal Project Negative CX59-1-58, All rights reserved. University of Pennsylvania Museum. 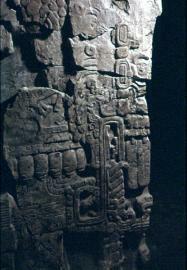 Caption: Stela 9, front and right side, 1959.
Credit: Edwin Shook, University of Pennsylvania Tikal Project Negative CX59-1-61, All rights reserved. University of Pennsylvania Museum. 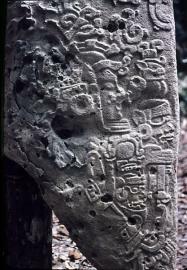 Caption: Stela 23, left and back sides, 1959.
Credit: Edwin Shook, University of Pennsylvania Tikal Project Negative CX59-1-69, All rights reserved. University of Pennsylvania Museum. 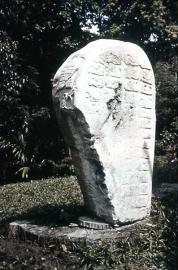 Caption: Stela 25, right and back sides, 1959.
Credit: Edwin Shook, University of Pennsylvania Tikal Project Negative CX59-1-71, All rights reserved. University of Pennsylvania Museum. 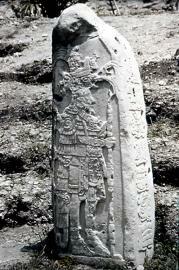 Caption: Stela 22, front detail, 1960.
Credit: Helen Webster Trik, University of Pennsylvania Tikal Project Negative CX60-47-44, All rights reserved. University of Pennsylvania Museum. 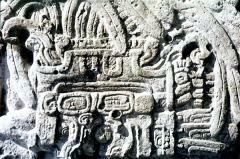 Caption: Stela 29, front detail, 1960.
Credit: Helen Webster Trik, University of Pennsylvania Tikal Project Negative CX60-47-47, All rights reserved. University of Pennsylvania Museum. 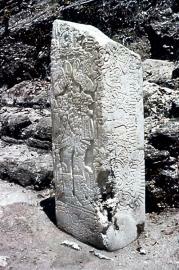 Caption: Stela 28, left side, 1960.
Credit: Helen Webster Trik, University of Pennsylvania Tikal Project Negative CX60-47-48, All rights reserved. University of Pennsylvania Museum. 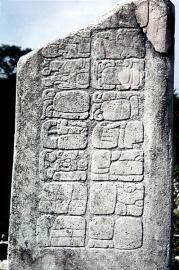 Caption: Stela 5, front detail, 1961.
Credit: William R. Coe, University of Pennsylvania Tikal Project Negative CX61-4-137, All rights reserved. University of Pennsylvania Museum. 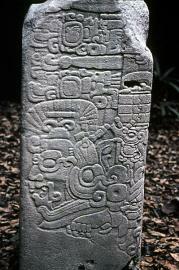 Caption: Stela 1, back view, 1961.
Credit: William R. Coe, University of Pennsylvania Tikal Project Negative CX61-4-138, All rights reserved. University of Pennsylvania Museum. 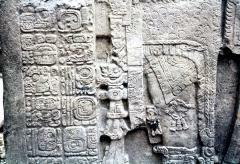 Caption: Stela 22, front detail, 1961.
Credit: Willaim R. Coe, University of Pennsylvania Tikal Project Negative CX61-4-140, All rights reserved. University of Pennsylvania Museum. 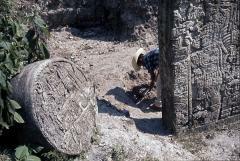 Caption: Stela 20 and Altar 8, with Elias Contreras(?) 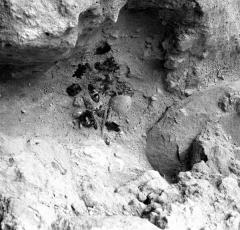 in background, 1963.
Credit: William R. Coe, University of Pennsylvania Tikal Project Negative CX63-4-163, All rights reserved. University of Pennsylvania Museum. 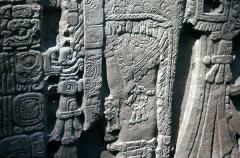 Caption: Stela 21, front detail, 1963.
Credit: William R. Coe, University of Pennsylvania Tikal Project Negative CX63-4-164, All rights reserved. University of Pennsylvania Museum. 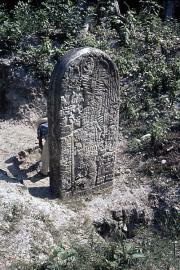 Caption: Stela 20, front, with Elias Contreras(?) 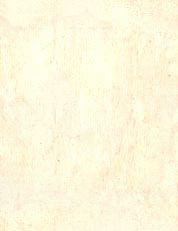 in background, 1963.
Credit: William R. Coe, University of Pennsylvania Tikal Project Negative CX63-4-166, All rights reserved. University of Pennsylvania Museum. 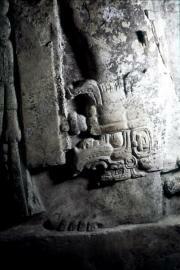 Credit: William R. Coe, University of Pennsylvania Tikal Project Negative CX63-4-167, All rights reserved. University of Pennsylvania Museum.